The one off Joker movie that will tell a new origin tale for the clown prince of crime is beginning to ramp up its casting. 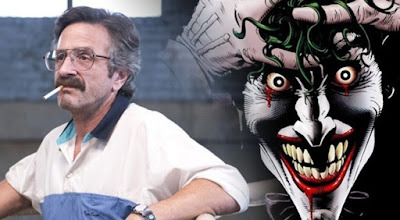 With project finally gaining some momentum, even as DC fans question the need for another Joker, it looks like the casting is taking another great turn. It was recently announced that Robert DeNiro has signed on the dotted line to join the feature film. Now, another excellent actor is in final discussions to board the DCEU film that is inspired by the works of Martin Scorsese. Actor Marc Maron, whose stint on Glow just completed its second season on Netflix, is now in discussions to join the feature film. Set in a different reality than the current DC film lineup, Maron is said to be taking on one of the lead roles in the movie. Early word says he'll be interconnected with Robert DeNiro's character's talk show that's featured in the current script.